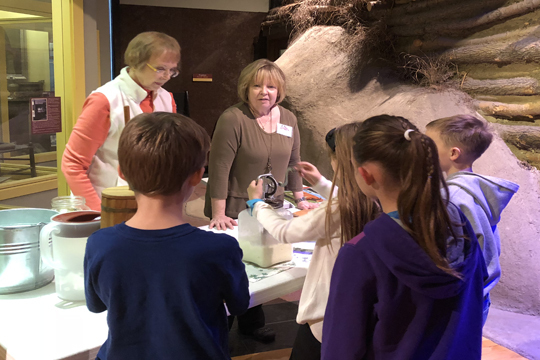 Every January, third grade students and teachers from Salina and the surrounding area celebrate Kansas’s birthday at the Smoky Hill Museum. Students learn about life on the prairie through four hands-on demonstrations - butter churning, pioneer games, corn shelling and Pack Your Wagon. Teachers can schedule a class visit in one of the sessions offered during the free week-long Kansas Days by calling Nona Miller, Curator of Education, at 785-309-5776 or email nona.miller@salina.org.